This is an exciting novel to me as it's another one of our short story writers that we've had on the Dew who's come out with a novel! This is wonderful debut novel that totally immerses the reader in the mountain people of the South. A story filled with ghosts, spells, premonitions and all that goes with living in a closed off, superstitious society. 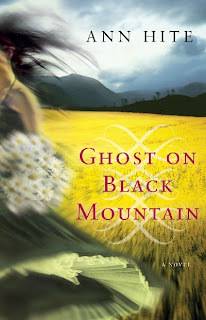 When Nellie thinks she has found a way to better herself and her life by marrying Hobbs and moving up the mountain, she has no idea what she's getting into. She soon finds out that she may have landed in something much worse. 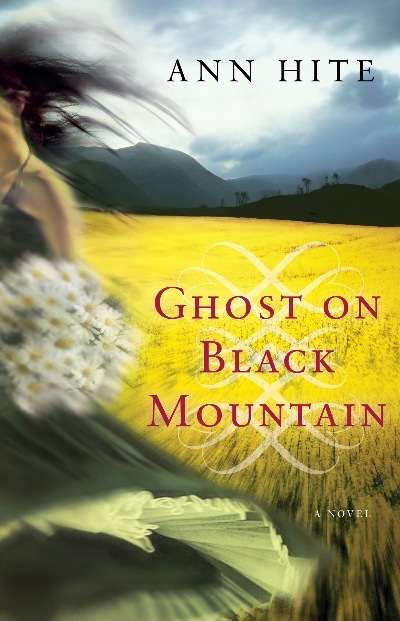 The mountain people shun her completely as she discovers she has married a very bad man. They want nothing to do with her. But now the ghosts... the ghosts all want her. They taunt her, warn her, try to help her and all let her know that she's in a bad, bad place if she stays. When events take a sudden and unexpected turn, and Nellie decides to change her life before it's too late, she finds that you never can manage to run away. Sometimes the past comes racing back in totally unexpected ways and takes the price you didn't think you'd have to pay. A fantastic story that takes you on a wild ride, with totally sneaky twists and turns - some you applaud, some make you cringe. Here is the link to a short story that Ann submitted and had published at the Dew in 2009! It actually has some familiar characters in it that are in her novel. I love it when my short story writers end up sharing wonderful novels with the world! Click HERE for story!